Researchers have determined that the sulfites in wine are largely responsible for the headaches associated with wine consumption. Wine can be such a pleasurable addition to any type of a fine dining experience. It is a shame that certain people can’t fully enjoy it without the resulting headaches. It is estimated that three million Americans are sensitive to sulfites. 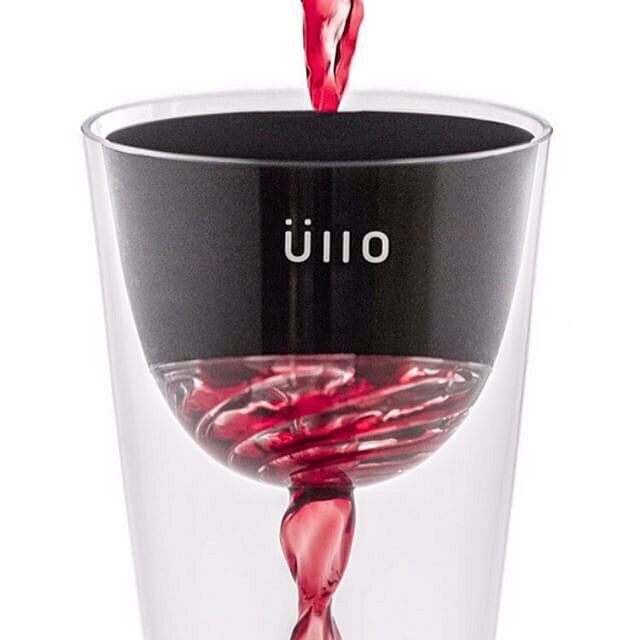 The Uiio wine purifier is designed to provide relief from this problem. This product purifies any type or brand of wine. It actually returns the wine to its original natural state. This is done through a porous polymer filter. It is expertly designed to just remove sulfites. All other compounds and flavors in the wine remain unaffected. There is also a built in aerator that oxygenates the wine and allows it to breathe freely. A swirls effect in created while pouring wine through the Uiio wine purifier filter. All you have to do is just fit the filter over any wine glass, and simply pour the wine through the filter and into the glass. The sulfites are removed, and you are absolutely freed up to enjoy the wine to its maximum fullest.